Extracurricular activities can assist a child’s physical and social development. They can learn to work as part of a team, improve their physical endurance, hone artistic skills, and gain confidence. In addition, they can develop a lifelong love of sports or the arts, which benefits them throughout their lives. When one considers the current childhood obesity epidemic, giving your children a love of physical activity can positively affect their health for years to come. Although sports and artistic activities can cost parents a lot of money, you can find ways to pay less for children’s extracurricular activities, and still reap the benefits. 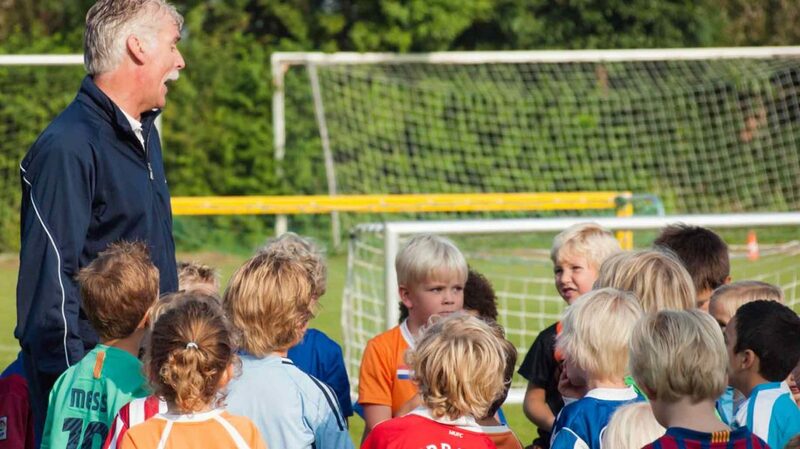 Many sports programs offer a discount of 10% to 30% if you pre-register your children. For example, a local soccer league in our area offers a 10% discount if you register your children two months before practice begins. Alternatively, some leagues may offer a 10% discount if the first month’s fee is paid a few weeks before the season begins, or if the fees are paid in full rather than on a month to month schedule. Many expensive sports offer scholarships to a few students. Ask the program director or the coach if scholarships are available. The organization may even waive the fee or offer a discounted rate. Some sports groups may allow each team player to acquire their own sponsorship from businesses to help defray the costs of participating. Check with your team’s program director or coach to learn more about the availability of sponsorships. If you plan to apply for a sponsorship, write a brief resume for your child, focusing on his or her involvement and commitment to the sport. Include a cover letter that further details your child’s commitment to the sport, and how the sponsorship would benefit your child, and your family. If your child receives a sponsorship, send the sponsor a heartfelt thank you note. You can also seek sponsorship for the entire team, to help defray the costs for all of the parents. If your child is young and new to a sport, consider signing up for classes offered by a local community center or department of parks and recreation. Kids in preschool or early elementary school often want to sample a variety of sports, and a course through a community center of department of parks and recreation won’t require a year-long time commitment. 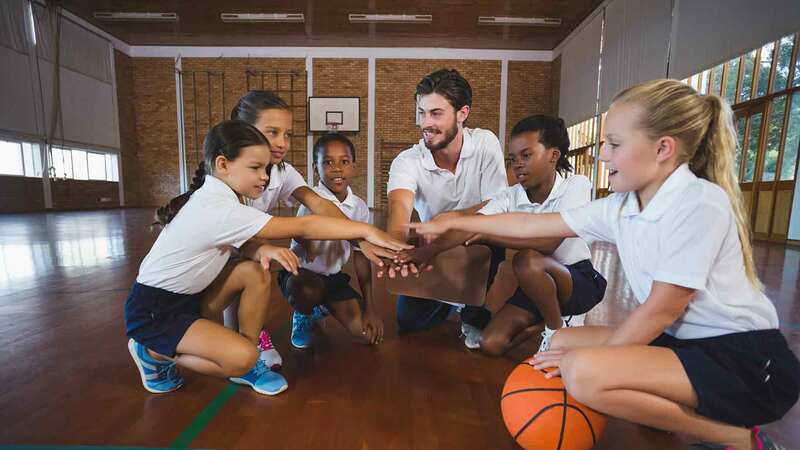 The classes typically run from two to four months, which is ample time for your child to experience the activity and decide if he or she wants to pursue the sport. My three year old daughter wants to take dance classes, just like her big brother. If I sign her up at the dance studio, the class costs $44 a month, and we have to make a year-long commitment. If I sign her up for a class at the local department of parks and recreation, we only pay $50 for 8 weeks of classes. The parks and recreation class costs 50% less, and we don’t have to make a long-term commitment. The YMCA offers many classes for children, including swimming, soccer, and basketball. In addition, they offer a class that lets students sample a different sport each week. If you are unable to afford the YMCA membership fees, you can apply for a scholarship. If you qualify, the scholarship applies to both the membership fee and the class fee. Sports and scholarships offered through the YMCA vary based on location. Upward Sports is a Christian-based sports program available throughout the United States. The program offers leagues and camps for basketball, cheerleading, flag football, and soccer. The fees include the costs of playing, practicing, purchasing gear, and buying uniforms. For families that have financial hardship, they offer scholarships. Practice and games include a religious component, where children learn about God, sportsmanship, and healthy competition. If you can coach or manage a team, record baseball scores, or sell refreshments during games, you may receive a discount. Talk to the organization or community center that oversees the sports program to discuss working for the program, and receiving a discount on your children’s fees or equipment. In addition to paying fees to participate in classes and leagues, parents have to pay a number of associated costs when children participate in sports. For example, many sports require uniforms and expensive gear, including balls, cleats, mitts, or shin guards for soccer. Those items can add up, especially if you pay full price. With the abundance of used equipment available, parents don’t have to pay full price. Play It Again Sports sells used sports equipment on consignment in good to very good condition. Most of the time, using used equipment has no effect on your child’s ability to participate in the sport. Consignment stores, secondhand stores, and thrift stores sell new and used sports equipment. Kids grow quickly, and lose interest in sports quickly, so the sports equipment is typically in good condition. Most national store chains also offer new and used gear for a variety of sports, including football, golf, and skiing. Play It Again Sports has a knowledgeable staff and an excellent selection of used equipment. The staff can help you find the right equipment for your children, and the perfect fit. Put out the word that you need equipment for your child’s sport. Many people have old sports gear cluttering up their garages or basements, and they would be happy to donate the items to your family. You may find some sports equipment at garage sales. To narrow your search, search the classifieds, Craigslist or Garage Sale Tracker for sporting equipment at local garage sales. Sports equipment and gear sells quickly, so arrive early. You can find new and used sports equipment for sale on Craigslist and eBay. A quick look at Craigslist in my area showed seven new listings for tap shoes for sale in the last five days. On average, the shoes cost $10; buying them new can cost $25 to $40. 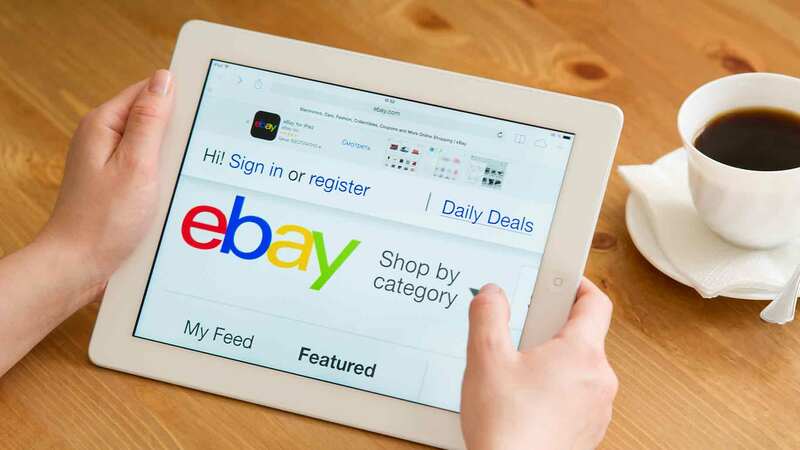 When you shop online at auction sites like eBay, factor in the costs for shipping to your total costs, as the price to ship sports equipment may negate the savings. The shipping costs should be clearly listed on the auction pages. Dance and gymnastics classes can run hundreds of dollars a month if your child takes several classes. A child who plays in the school band may also take expensive private lessons outside of school. Look for non-traditional ways to save money on these extracurricular activities. Try to steer your children towards free activities. My seven year old son wanted to participate in a choir, and take guitar lessons. I gently steered him towards joining the choir; guitar classes cost $12 per weekly lesson, plus the cost of the instrument. My son still wants to try different activities, and avoids rigorous practicing on any kind of long-term basis. He enjoyed choir and he may still want to take guitar classes when he is older and more dedicated. If your child already owns an instrument, or the school provides one on loan, enroll your child in the school band, and forgo the private lessons. School bands can offer great training, and sometimes provide lessons for free. Bartering occurs when someone offers a service or a trade, in return for another service or a trade, instead of paying cash. Bartering can benefit both parties, and is frequently an acceptable form of payment for extracurricular activities. For example, my son started taking tap dance lessons three years ago. This year, I quit my job to be a stay at home mom, and needed to cut extras from our family budget. I privately asked his teacher if I could work for her around the studio, in exchange for dance lessons. Now, my son and I clean the studio one day each month, in exchange for tuition. My son has started to connect his lessons with the time we spend cleaning the studio, a valuable lesson to learn about the work ethic. Bartering services vary based on your skills and abilities, but might include advertising, cleaning, clerical work, or typing. Introducing the idea to the instructor might seem embarrassing at first, but you may work out a deal that benefits both of you. You could try this for any activity your child participates in, but it seems to happen more frequently for sports and activities outside of the mainstream, such as dance classes, gymnastics classes, or private music lessons. You could even check out bartering and swapping websites online to see if there are any opportunities. My son wants to act. I discovered that the local public library has a drama club that meets every week. My son attends for free, and he enjoys his time in the club. You can save a lot of money by learning how to play an instrument yourself, and then giving your children lessons. Small children may decide to pursue another musical instrument, or to forgo music completely after a few months. Instead of paying for private lessons, supplement what they learn at school by playing with them at home. Almost anyone can learn basic forms of musical articulation, notes, and pitch, using books and Internet videos. If, after a few months, your children want to continue to learn the instrument, then you may consider enrolling them in private lessons. If you can register early for classes, or pay by automatic bill payment from your debit card or credit card, you can often receive a 10%-40% savings on dance lessons, gymnastics, and music lessons. Check the company’s website for details about early registration, and discounts for using automatic debit to pay for lessons. Save money by signing your children up for dance and music lessons online. Companies that offer online training use webcams and online tutorials to instruct children. In addition to the low costs of the classes, families can save money on gas by taking online music and dance lessons. Just as the equipment needed to participate in sports can drive up the price of playing a sport, the supplies needed for artistic activities can also add up quickly. If your child takes piano lessons, he or she needs a piano, but they can cost hundreds of dollars. 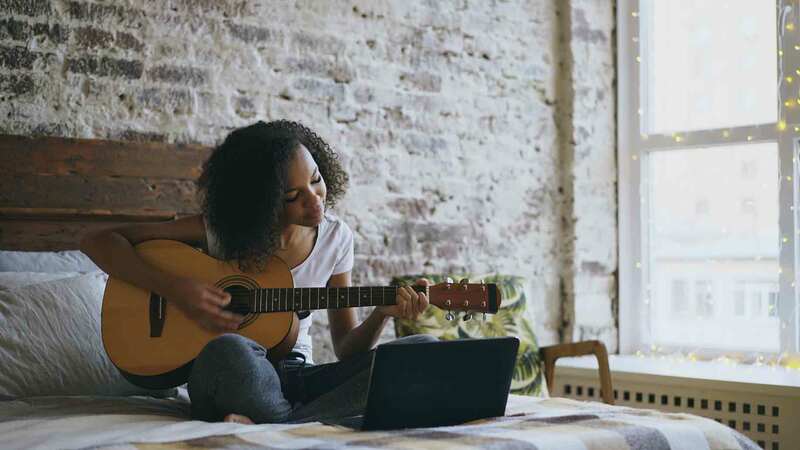 Many parents invest in pricey instruments, only to discover in a year or two that their children no longer want to pursue music. To learn how to play a musical instrument, a child must practice every day, and needs access to the instrument. Consider renting the instruments instead of purchasing them. You can rent locally or from an online dealer, although prices vary. Renting instruments helps mitigate costs if your child decides to stop playing or decides to move on to something else. When you rent, the shop typically handles repairs and maintenance for you as well. I played the French horn for one year in sixth grade. Luckily, my parents rented the instrument instead of buying it, because my interest in playing quickly waned. Presently, French horns rent for $40 to $50 a month, but they cost well over $1,000. If my parents had bought me one when I took lessons, they would have wasted several hundreds of dollars. If you want to buy an instrument, consider buying it used. People often need to get larger instruments out of the home, and sell items like used pianos fairly cheaply. Browse the classifieds, Craigslist, and eBay, and ask family and friends to donate used instruments, too. If your child plays an instrument, the cost of new music books can add up quickly. Used books serve the same purpose, for a fraction of the cost. Amazon, Craigslist, and eBay have multiple listings for used music books at rock-bottom prices. Family and friends may also have used music books they can donate, too. You can swap equipment with others to save money. My son’s dance school had a large tub filled with used dance shoes. If you put in your child’s old pair, you could take out a pair for your child to use. If you can’t find a swap, consider organizing a community-wide equipment swap. These stores offer reasonable quality products for a discounted price. I bought my son’s tap dance shoes from Payless Shoes, and they have never worn out before he outgrew them. Kids outgrow shoes and clothing quickly, so paying full price for these items doesn’t make sense. Payless offers a wide variety of dance shoes for boys and girls at very reasonable prices, especially during their buy one, get one free sales. Between the fees, uniforms, and equipment, kids’ sports and activities can be expensive. If you utilize some of these tricks, however, you can save a substantial amount of money, while your child reaps all of the benefits of participating in extracurricular activities. Many children are still sampling sports and activities, so save as much money as possible, while letting them discover their true interests. What are your favorite ways to save on kids’ activities? What is your child’s most expensive extracurricular activity?